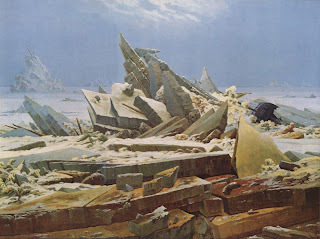 The Sea of Ice (1824) by another German, Caspar David Friedrich. I find that’s brilliant. But I find it also reminds me of something else. 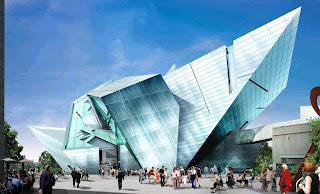 Daniel Libeskind’s addition to the Denver Art Museum (2006). 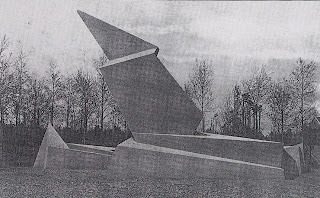 Libeskind lived in Germany too. Sorry, busy today, so only this. 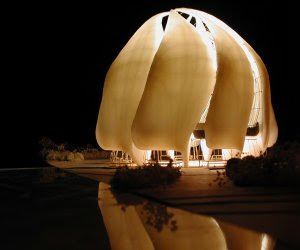 The new Baha’i Temple or House of Worship to be built near Santiago in Chile. Designed by Siamak Hariri of Toronto, Canada. The design has “nine gracefully torqued wings, which enfold the space of the Temple,” Mr. Hariri said. Looks delicious. No offense intended, to a fine faith. Just an arch-coincidence. You are currently browsing the archives for the Arch-coincidence category.